£50.00 deposit secures your chosen date, the deposit is taken of the balance of your holiday with the remainder of the balance to be paid two weeks prior to your holiday. We require a £50.00 bond payable on the 1st day of your holiday which will be refunded providing everything is ok on inspection of the caravan. No pets allowed on site and No smoking in the caravan. 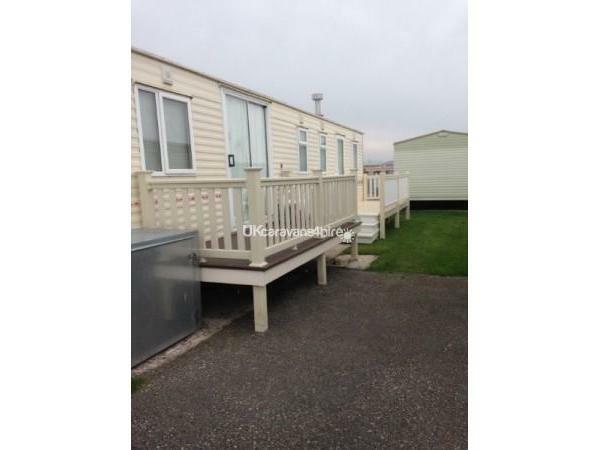 This is a lovely modern caravan it is 37ft x 12ft with 3 bedrooms, 2 with double beds and 1 with two singles, I provide quilts and pillows and ask that you bring your own duvet covers and pillow cases and towels. The caravan is situated on Happy Days Caravan Park and is equipped with a 40 inch flat screen TV and DVD player with a large selection of films. There are games and colouring books for the children. 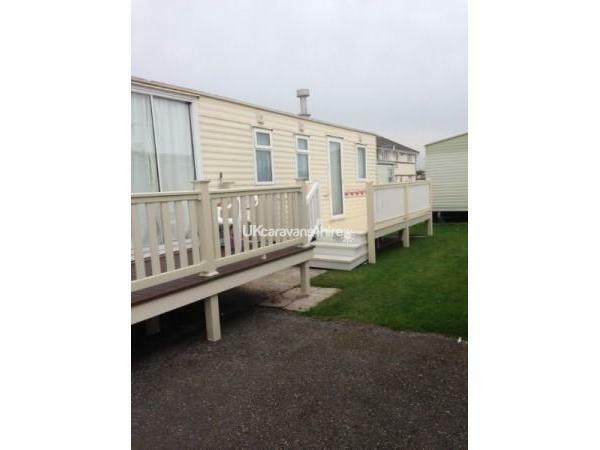 Facing the caravan site is the market and fun fair. Additional Info: On the entrance to the site is Sunnys Bar which caters for all ages and servers food. There is also an arcade.